The GBP/USD currency pair today fell from an opening high of 1.3101 to a weekly low of 1.3041 and was trading near these lows at the time of writing. The currency pair opened today’s session with bearish bias and was quickly stuck in a consolidatve range unable to post any significant gains or losses. The release of the UK labour market overview for April by the Office for National Statistics in the early London session was a boost to the pair. Both headline and core average weekly earnings for February met expectations set at 3.5% and 3.4% respectively, which helped the cable keep its trading range. However, the March jobless claims data was higher than expected, which limited the pair’s upside potential. Jeremy Corbyn‘s comments regarding the lack of agreement on a customs union with the EU drove the pair lower despite his spokesman later refuting any claims of stalled talks between Theresa May‘s government and his party. A rally by the greenback as tracked by the US Dollar Index drove the pair lower. The cable’s future performance is likely to be influenced by tomorrow’s UK inflation data and Brexit headlines. 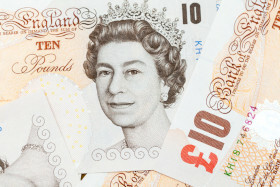 The GBP/USD currency pair was trading at 1.3052 as at 17:42 GMT having dropped from a high of 1.3101. The GBP/JPY currency pair was trading at 146.15 having fallen from a high of 146.75.